Location technologies and smartphones help you find your way. But for some of the time, some of us don’t only want to find our way — but lose it. Loss goes with forgetting, regret, and grief as in the art work Blood Swept Lands and Seas of Red by Paul Cummins and Tom Piper — a single red ceramic poppy in the moat of the Tower of London for each of the 888,246 recruits who lost their lives in WWI. Loss is also associated with losing control, departing from rationality, and misunderstanding. But people also get lost in thought, in wonder, in play, a role, in someone’s embrace. That’s abandoning a sense of self, at least for a time, and has something to do with engagement, absorption, immersion and meditation. In a visit to Venice years ago I aimed to get lost in its labyrinthine streets. I think lots of tourists do that. To be lost in a town, park, or the countryside is to allow yourself to be engulfed in the atmosphere of a place. I’ve just visited the Hampton Court Maze. According to the accompanying fact sheet, a maze was a “wilderness” in miniature, a part of a formal garden in which the garden visitor could wander freely. It presents a highly formalised and safe wilderness experience. On the one hand a maze provides a puzzle to be solved: reaching the centre and getting out again. On the other hand the objective is to lose yourself. Like a lot of games, if it’s over too soon then there’s no challenge. In other words visitors want to be lost — to wander. A maze is also a sociable experience and an unusual way of encountering strangers — and friends. I’m reminded of something Rousseau said about the voices of children calling out across the fields to their parents. 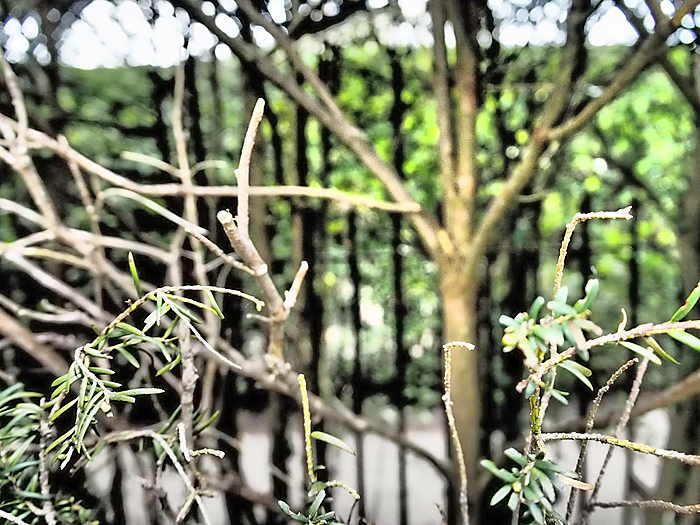 Here’s what the Hampton Court Maze sounds like. Rousseau, Jean-Jacques. 1957. The Emile of Jean Jacques Rousseau. Trans. W. Boyd. New York, NY: Teachers College Press, Columbia University. First published in French in 1762. The lack of ‘getting lost’, and therefore the lack of opportunities to explore and wander, seems to be a common complaint amongst men with smartphones (based on some research I did for uni earlier this year). I don’t want to make this a man-woman debate neccessarily, It’s just interesting… I feel that as a women, having that security makes me MORE willing to wander. That’s interesting Kaiti. I wonder if (some) men are more inclined to enjoy fiddling with their locational devices while travelling about. For (some) women it’s enough to have it as backup if needed. The first recorded use of a maze in animal behaviour studies (Small 1899) tested rats using a scaled down version of the Hampton Court Maze. Small, W.S. 1899-1900. An experimental study of the metal processes of the rat. Amer. J. of Psych. 11:133-164. That’s good to know. I wondered what happened to my cheese sandwich.